A U.S. District Court judge has granted class-certification to a group of over 64,000 workers who claim Apple, Google and two other tech companies illegally held down wages by conspiring to not poach each other's workers. As reported by Bloomberg, Judge Lucy Koh handed down her decision in the ongoing suit on Thursday, saying the plaintiff's pretrial information gathering made their case "much stronger." In April, Judge Koh denied class status to the group, noting workers had not shown adequate harm from the alleged anti-poaching agreement between the tech giants. According to the publication, the lawyer representing the group said there are up to 64,626 potential members in the class, with backgrounds ranging from software and hardware engineers to animators and digital artists. "We have always actively and aggressively recruited top talent," Google said in response to Judge Koh's ruling. The company was the only defendant to make a statement regarding the case, which is being leveled against Apple, Google, Intel and Adobe. The court filing notes that defendants allegedly engaged in "overarching conspiracy" to eliminate competition for skilled labor through the implementation of anti-poaching methods, such as "do not call" lists, emails and other correspondence. 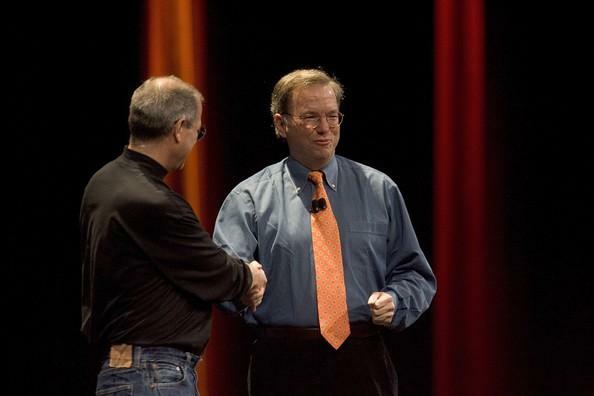 Named in the allegations is late Apple cofounder Steve Jobs, who in 2007 sent a personal email to then-Google chief Eric Schmidt, asking him to stop poaching Apple workers. Of the companies named in the initial complaint, three have settled. If Judge Koh signs off on their proposed settlements, Intuit will pay $11 million, while Pixar and Lucasfilm will put in a combined $9 million over the antitrust claims.